Living walking distance to your office isn’t an option for most who work in the downtown core anymore. It’s a question of affordability: the average property in Toronto central now goes for about $1.3 million, while condos are almost $600,000. Many residents are now choosing instead to live within commuting distance to the city. 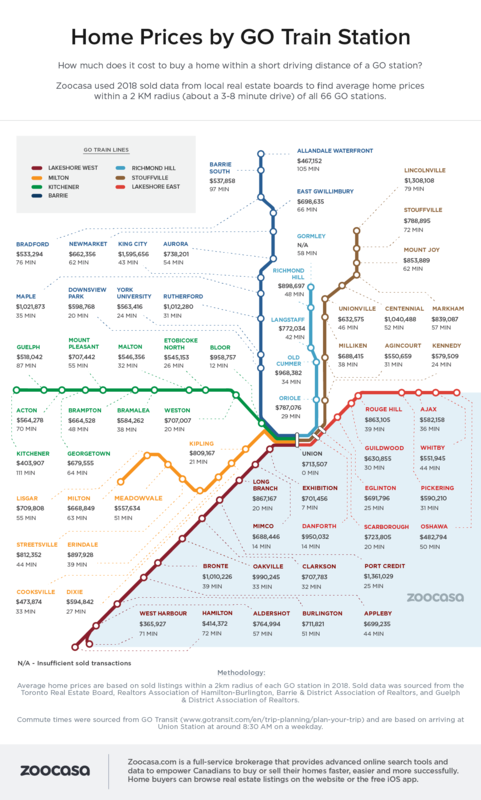 Not only are they likely to get a bigger house on more land, but if they live close to the GO Transit line, they can skip the congestion and traffic and enjoy an easy ride to work. But what stations offer the best value for nearby real estate? 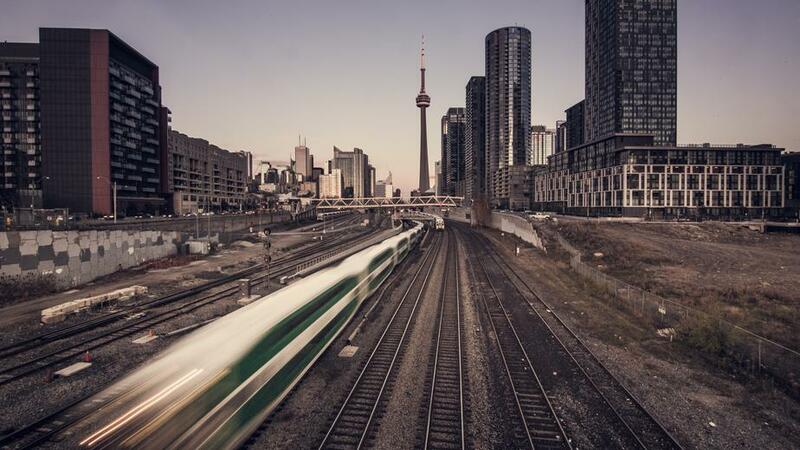 To find out, Zoocasa collected home prices based on sold listings within a two-kilometre radius from each of the 66 GO Train stations from local real estate boards, as well as commute times based on a weekday arrival at Union Station around 8:30 a.m. The study found that the longer the commute, the cheaper the average home. For buyers willing to make an hour-and-10-minute journey, homes for sale in Hamilton offer the most value. These stops are along the Lakeshore West line and home prices are between $365,000 to $414,000. Kitchener real estate is only slightly higher, but the commute to Kitchener is far longer — at just under two hours. Similarly, Barrie homes for sale are a reasonable $470,000, but the commute would eat up almost an hour and a half, or three hours every day. Etobicoke North, York University and Kennedy offer far shorter commute times at around 25 minutes. Although homes are more expensive, in the $550,000 range, the time saved may be worth it. If it’s a question of affordability, prospective buyers should stay away from Port Credit and Maple. Although the distance to union station is short at around 30 minutes, the home values in these cities top $1 million. 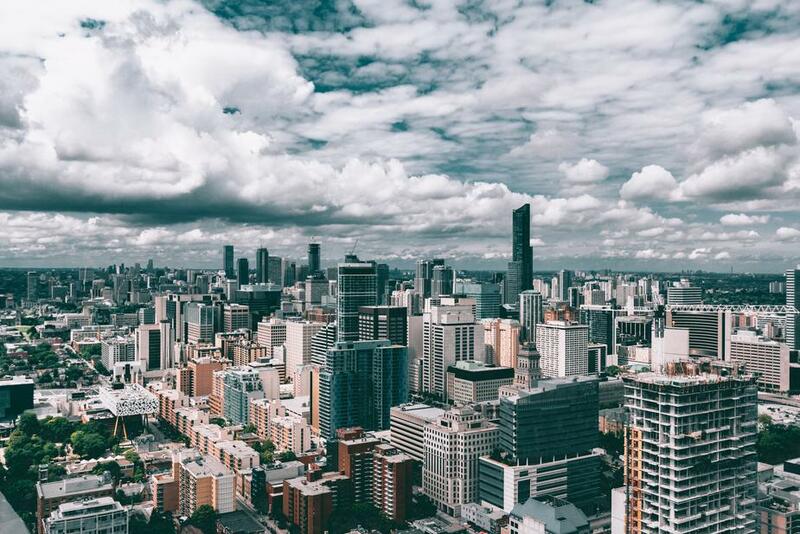 Condo sales posted unusually weak price gains this March, rising only 2 per cent year over year, says a recently released report by the Toronto Real Estate Board. It’s surprising because since new mortgage regulations came into effect on January 1, 2018, condo prices have been the darling of the Toronto real estate market, rising between 5- 10 per cent year over year every month, even as detached houses softened. But this March, condo prices only grew slightly. Units in the 416 rose 2.3 per cent to $603,969, while units in the 905 grew 3.3 per cent to $463,774. Condos for sale in downtown Toronto were still the most expensive units across the TREB region, going for $673,220, but are only $20,000 more expensive than in March 2018.